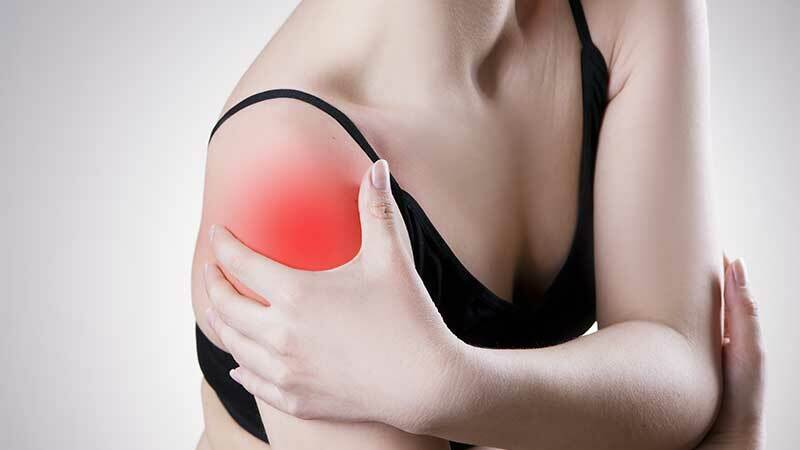 Anything from a car accident, or a chronic problem like arthritis, can cause shoulder pain. Symptoms of shoulder pain include shoulder pain that persists (even while you are at rest), pain that lasts more than one or two days, twinges or aches in the shoulder and shoulder area, and decreased functioning of the arm. Chiropractors will usually examine the patient's neck area because this could be what is causing the shoulder pain. It can normally be treated with non-invasive, natural healing methods like gentle manipulations, stretching and strengthening exercises.